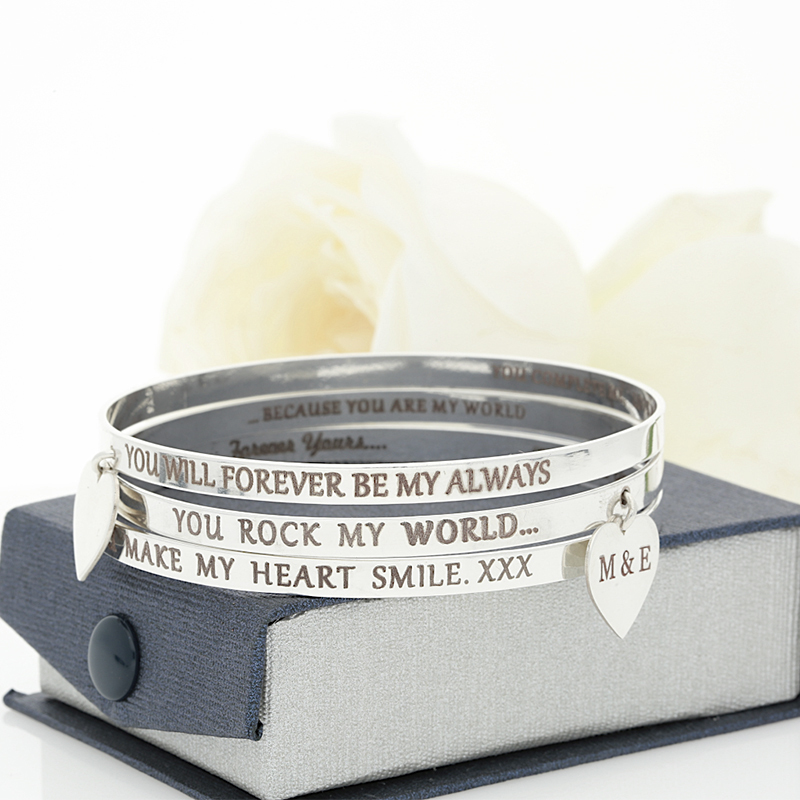 Rounded 5mm wide silver bangle that can be engraved OUTSIDE and INSIDE with your own message. Flat 5mm wide silver bangle that can be engraved OUTSIDE and INSIDE with your own message. 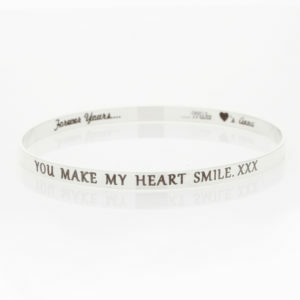 Rounded 12mm wide silver bangle that can be engraved OUTSIDE and INSIDE with your own message. Home / Collections / Valentines Collection / Rounded 5mm wide silver bangle that can be engraved OUTSIDE and INSIDE with your own message. 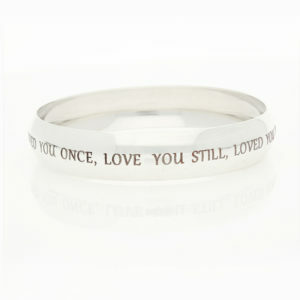 A silver rounded bangle with an engraved message on the outside and on the inside of the bangle. 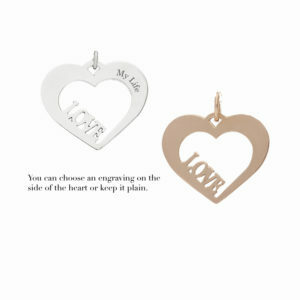 Choose your message to engrave on the OUTSIDE of the bangle. 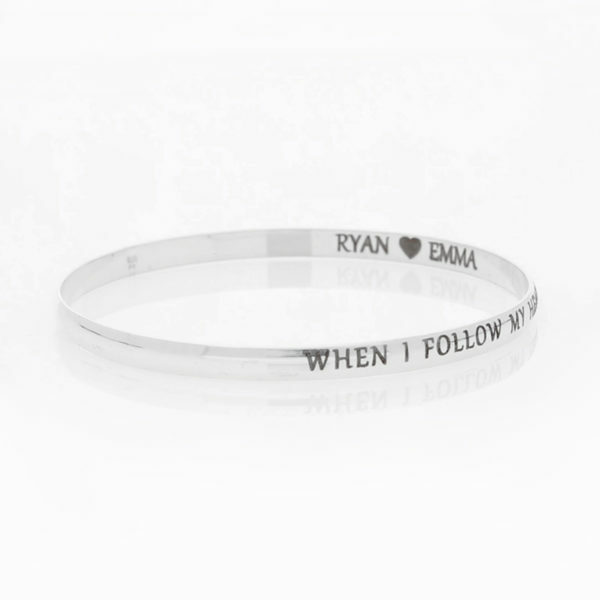 Choose your message to engrave on the INSIDE of the bangle. 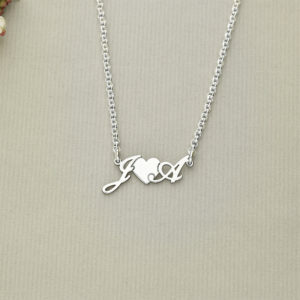 Choose your initials to be engraved on the heart. 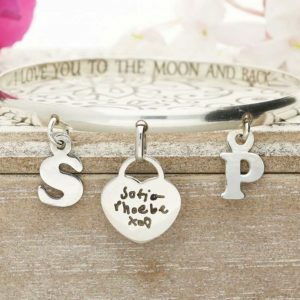 1 review for Rounded 5mm wide silver bangle that can be engraved OUTSIDE and INSIDE with your own message. 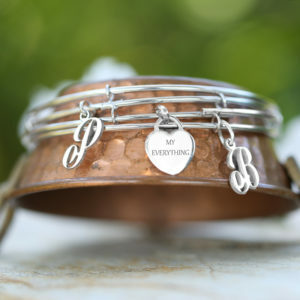 My boyfriend got me one for Christmas omg it’s beautiful by personalizing it ,it became the most presious gift ever these bangles become unique with your Own special message. 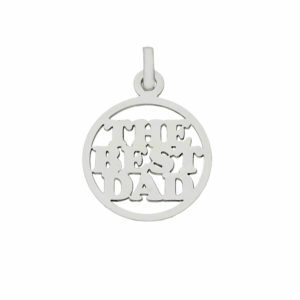 I bought him a silver keychain and personalized it with the same message and that was absolutly wicked just awesome . I can’t wait to have another personalized bangle and maybe a chain hint hint lol . it’s done with great perfection and skill so all that’s left to say is go ahead and get one you won’t regret it it’s for life? 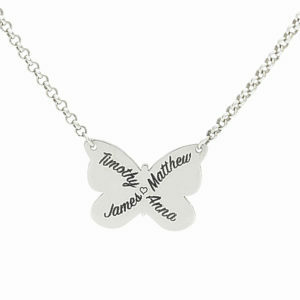 Rounded 12mm wide silver bangle that can be engraved OUTSIDE and INSIDE with your own message. A wide silver rounded bangle 12mm in diameter. 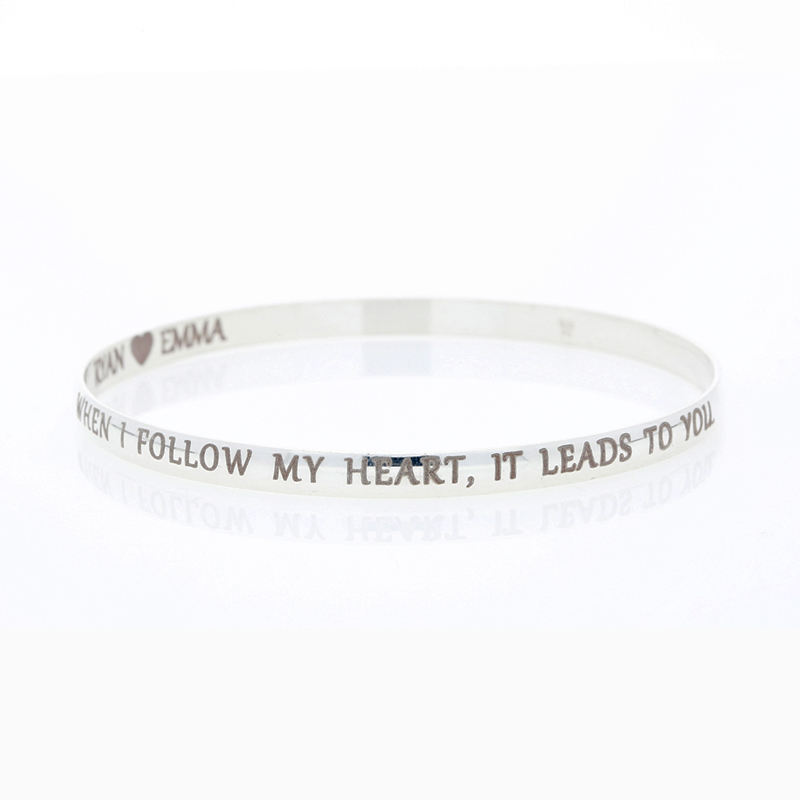 Flat 5mm wide silver bangle that can be engraved OUTSIDE and INSIDE with your own message. A flat silver bangle that can be engraved OUTSIDE and INSIDE with your own message. 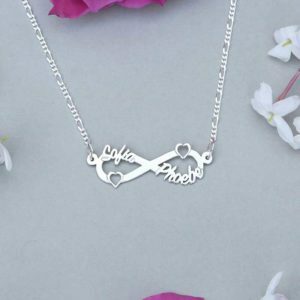 Choose your message and create the perfect gift. A strong well made silver bangle 5mm wide. It is available in three sizes.